View More In Ground Fault Circuit Interrupters. 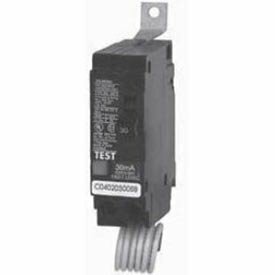 The Siemens Type BE Circuit Breaker is a panelboard mounted, non-interchangeable trip 30mA ground-fault, molded case circuit breaker available in 15-60A, 1- and 2-pole. Available in 10KAIC and 22KAIC interrupting ratings. Siemens strongly recommends against the use of "used" breakers. The installation of used breakers in a Siemens panel will void the warranty on the panel. Siemens does not sell used breakers and has not approved any 3rd party sellers to do so. If you have any questions about this product by Siemens, contact us by completing and submitting the form below. If you are looking for a specif part number, please include it with your message.